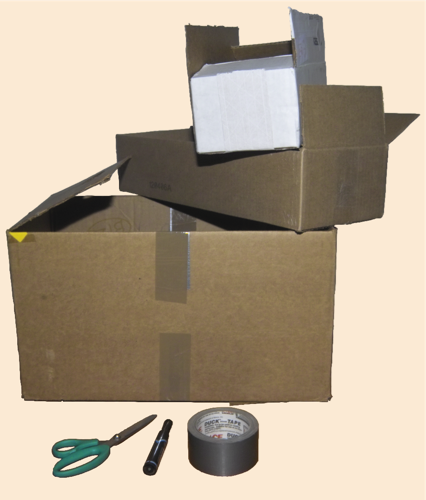 These instructions will show you how to make a pony from cardboard boxes and duct tape. This is a fairly simple project and should not take a lot of time. There are, however, a few things you should be aware of before taking on the responsibility of ownership. This type of pony: 1) is not very sturdy, you should not ride him if you weigh more than 15-20 pounds; 2) tends to fall apart when wet, a dry barn is a must; 3) is pretty slow, don't bet money on him at the racetrack. On the other hand, they are cheap to feed and simple to care for. <> or, if you have a bit of patience and a gentle hand, consider adopting a wild mustang from the BLM. Like Shadow (above), they are some of the best horses around.